Low down payment Jumbo loans have been making a comeback in recent months. Many home buyers are unaware they can obtain Jumbo financing without 20% down payment. Approved home buyers now have high balance mortgage options up to 95% loan to value. Single stand-alone 95% loans, and also 80-15 combo mortgages. These programs are available to home buyers across the nation, however, the exact loan requirements can vary slightly from state to state. The 5% down options not only apply to Jumbo purchase transactions but also Jumbo refinance loans. Below we will detail all the important loan application requirements home buyers will want to know. If you have questions, please contact us 7 days a week at Ph: 800-962-0677 or just fill out the Quick Contact Form located on this page. A jumbo home mortgage is a loan that exceeds the conforming (conventional) loan limits standardized by Fannie Mae & Freddie Mac (the government-sponsored agencies that purchase loans from lenders and banks) In most locations around the U.S, the conforming limit imposed by Fannie Mae and Freddie Mac is $484,350. Slightly more in higher cost locations in California, Florida, etc. Jumbo loans are ideal for home buyers looking for higher priced luxury homes. These loans are designed to simplify home buying in pricey markets by covering the full cost of the loan, so there is no need for borrowers to drain their cash reserves. Similar to conventional mortgages, jumbo loans can be obtained at a 30, 15 fix rate or adjustable rate term of 3/1, 5/1, 7/1 or 10/1 ARM. The interest rates on a jumbo loan are slightly higher due to the added lender/bank risk. However, the interest rate gap has been decreasing as the housing market continues to stabilize and available liquidity returns. Home buyers need to have at least 3-9 months worth of mortgage payment reserves (after down payment) in a documented account after closing. Often times retirement account like IRA, 401K can satisfy this request. Lenders like to see borrower’s reserves as it enables them to ensure that the borrower has the ability to make monthly loan payments. The exact amount can vary depending on the loan amount, borrower credit profile, etc. Basic loan amount and down payment caps. These programs are available for both Jumbo purchase and refinance. Buyers that have questions about qualifying can fast-track their request by submitting the Quick Contact form on this page. Thank you for your request, feel free to submit the Quick Contact form to review options with a specialist. Are there also cash out jumbo refinance to 95%? What about interest only payment options? Jumbo cash out options are generally limited to 90% loan to value. However, select Florida properties do have options up to 95% and loan amounts below 750K. 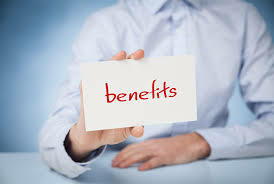 As for interest-only payments, this is available on limited bases for applicants that have strong qualifying factors, in particular, strong payment reserves exceeding 18 months. Would it be possible to get a Jumbo loan with zero down payment? I have 5% to put down, but the house needs some minor renovations and would like to have additional funds available to do so. Thank you for the question. 100 percent jumbo loans are currently not available. However, please check back as new 100 percent programs could be available in the future. 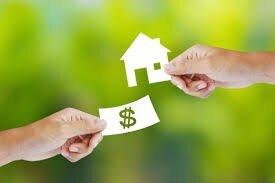 Another idea to reduce your cash to close is to negotiate with the home seller to pay your closing costs, this would reduce your overall cash to close by thousands.